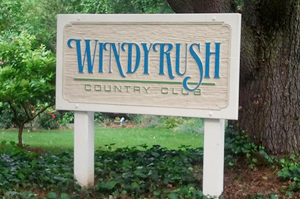 Windyrush is a private swim and tennis club located in the South Charlotte neighborhood of Olde Providence. Pool season is mid May to mid September. The main pool is Z shaped with a 3 foot shallow area at one end and a 12 foot dive well with diving boards at the other end. We have 4 clay courts and 2 hard courts. All courts have lights for evening play! Amenities include a backboard, observation deck and covered seating area with a flat screen TV for viewing your favorite sports. Court hours are 8:00am-10:00pm. Our tennis professional offers clinics and private lessons for all levels of play. We have 6 tennis courts which consist of four clay courts and two hard courts. All courts are lit for evening play. 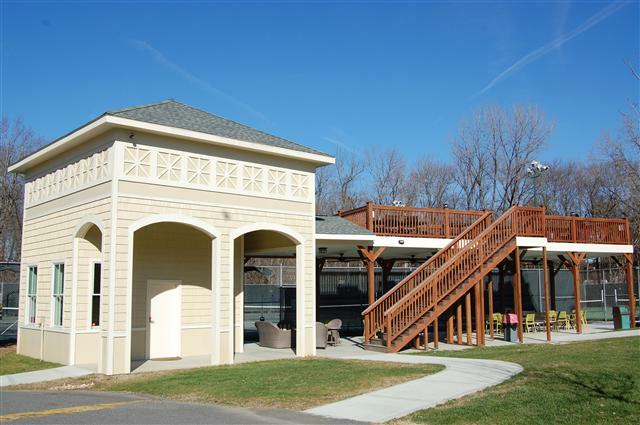 The tennis pavilion has an observation deck while the seating underneath is covered with fans and a flat screen TV to view your favorite sports. Our tennis staff provides private lessons, group lessons, weekday clinics for all ages as well as summer tennis camp for our junior members and junior clinics year round. Every Monday is men's tennis night and every Thursday is ladies tennis night. USTA, Queen City, Friday Night Under the Stars, and Sunday Mixed Doubles leagues play are available. Tennis is year round fun at Windyrush! Pool season is mid May to mid September. The main pool is Z shaped with a 3 foot shallow area at one end and a 12 foot dive well with diving boards at the other end. 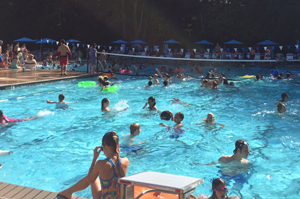 There is a designated lap lane, early morning masters swim, swim lessons, swim team, dive team, large pool deck, water slide, children's splash pool and snack bar. The grounds have a children's playground area and walking trail through the woods. Socials are planned throughout the year plus we have men's volleyball on Thursday nights during pool season. For more information about joining please view our membership tab or email us at office@windyrush.com.